I wanted to start a series that displays my 10-12 favorite images from each year, with a bit of background on how I got the shot (including camera settings) and why it is one of my favorites! These are not always technically perfect photos, but often have a meaningful personal experience that makes it a favorite. For wildlife shots, I've provided a few basic tips for observing and photographing the species. I've posted alternative shots (when available) below my favorite so you can see some of the images I had to select from after shooting a given subject; you may enjoy those more than you do my favorite in a series! I hope this helps you if you're interested in observing or photographing these species and landscapes - and I hope you enjoy the shots! This photograph instantly became one of my all-time favorites! 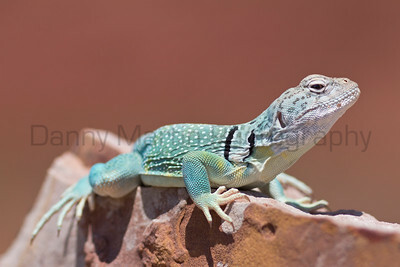 I love the colors of both the male Eastern Collared Lizard and the blue sky and red canyon wall in the background. We have a huge canvas print of this in our dinning room at home! 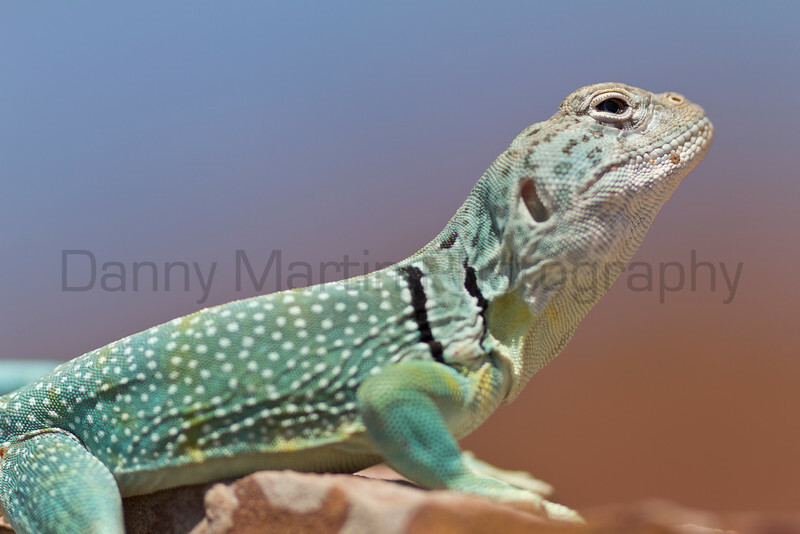 Eastern Collared Lizards can be easy to find in rocky areas, especially canyons, throughout the western part of their range. 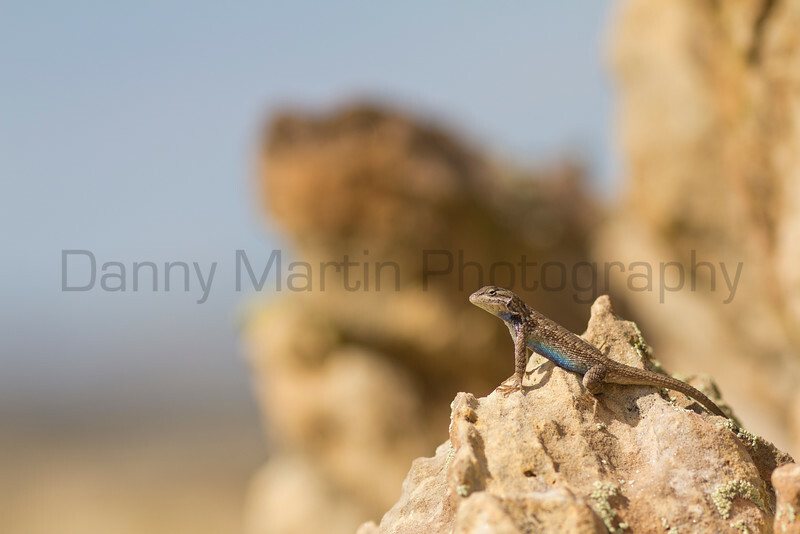 As with many other saxicolous (living among rocks) lizard species, they can be found basking on tops of rocks in the sun. This species can often be found on rocks in much warmer temperatures than smaller species. This individual was patient with me as I shot different angles while maintaining a reasonable distance (using a 300mm lens). 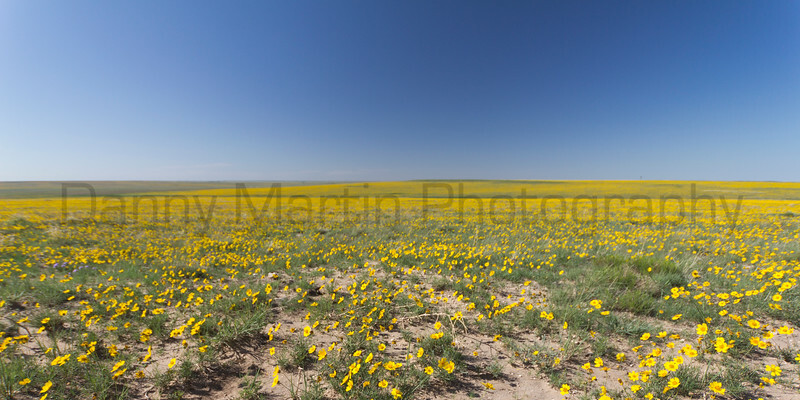 Driving across the northern Panhandle of Texas in mid-June, I came to an expansive hillside full of yellow wildflowers. I wanted to show the explosion of yellow on the rolling landscape, and I took a series of shots at different angles and really like this one because it is low enough to show some detail of the flowers in the foreground, while still showing the extent across the hillside. I also cropped the image to emphasize the meeting of blue sky and yellow flowers. Rita Blanca National Grassland, Texas. 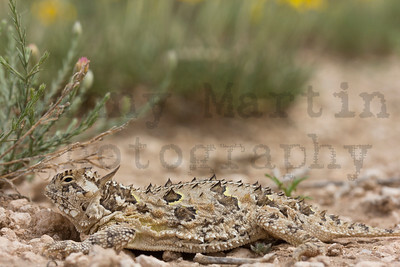 I found this Texas Horned Lizard near Buffalo Lake National Wildlife Refuge in Randall County, Texas, on a shoulder next to a county road. It was a cloudy day in mid-June (seasonally a bit cool), which may have contributed to the lizard staying put while I photographed him with the yellow flowers and cloudy sky in the background. 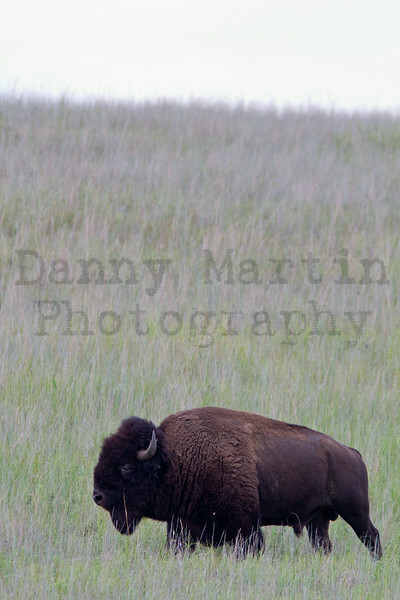 I love shooting wildlife up close with this lens if I can do so without disturbing them! I shot f/9 to make sure the lizard was completely in focus while blurring the background nicely - but not so much that you couldn't see the habitat surrounding the lizard. Not all species or individuals allow close approach, and it's always a good idea to leave if an animal shows signs of stress. It is important in these situations to shoot quickly so as to minimize potential stress to the animal. Knowing your camera well will enable you to change settings quickly to shoot several quick bursts at different settings or compositions, and get out of there! In this case I shot about 4 different compositions, each with 2-3 different aperture settings, over about 3 minutes. 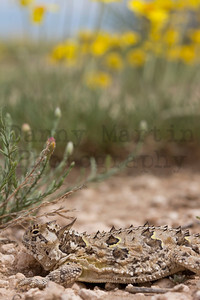 Texas Horned Lizard and June wildflowers. 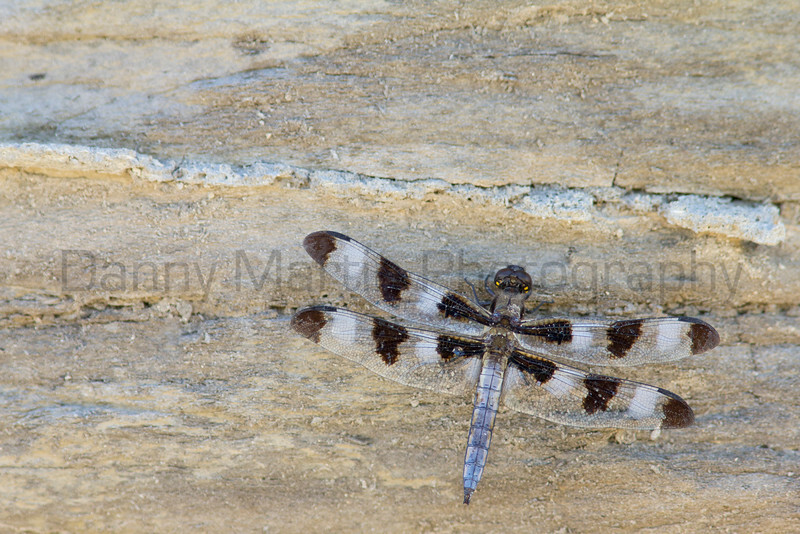 Twelve-spotted Skimmers are fairly wide-spread and common in the U.S., and can typically be found near water. I really liked the limestone this male was on, with interesting texture. You can tell this is a male by the blueish abdomen and white spots on the wings; females only have black spots on the wings and the abdomen is blackish with a golden stripe down each side. I shot a few different angles of this individual, but enjoyed this one the most based on the angle of the dragonfly and lines in the rock. 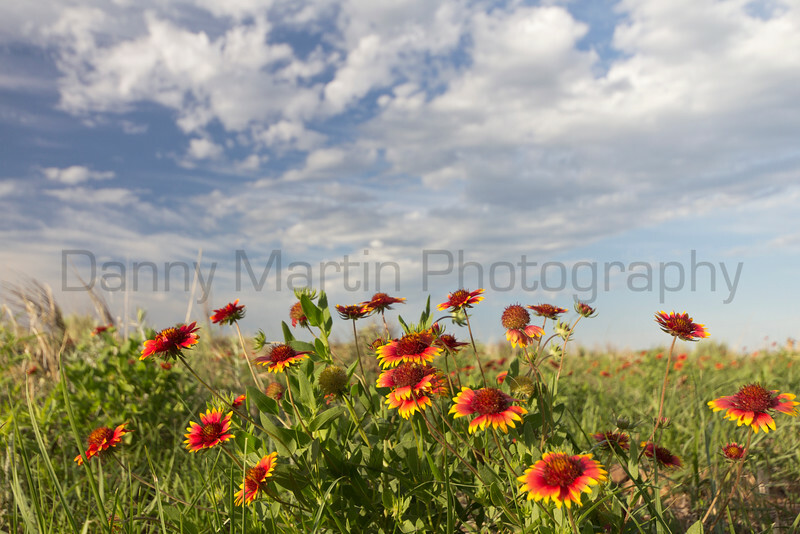 Indian Blanket is one of my favorite native flowers in the Great Plains! I found these in mid-June in Oklahoma, after a fairly wet spring. I used a wide-angle lens and got close to the flowers to show them in their surrounding environment, including the nice contrast with the blue sky and clouds. Black Kettle National Grassland, Oklahoma. Taken in mid-August in late afternoon (16:45). Fence lizards in general tend to vary in their skittishness, but it is not difficult to find individuals willing to let you sneak a bit closer for photos. I often carry my 300mm lens around to enable me to get nice shots without pressuring lizards into leaving their basking perch. It is important not to disturb wildlife so much as to significantly alter their behavior, or even worse, influence their ability to survive. Reptiles behaviorally thermoregulate, and some lizard species can be found in rocky areas - perching on the top of rocks while basking in the sun, defending territories, and waiting for hapless insects to wander by. Death is so much of life. 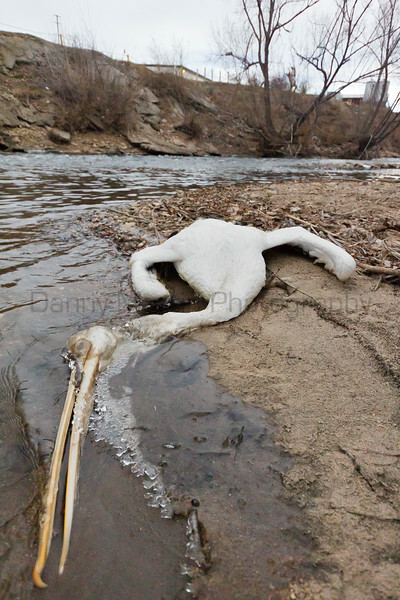 I couldn't tell how this pelican died, but it did so in the cold of winter and near the icy Poudre River. I spotted this while conducting the annual Christmas Bird Count with my labmates from Colorado State University - they are mostly Ornithologists - and this was the only mortality we saw that day. I often try to tell the story of death with my lens, when I find it in the wild. I suspect this is partly because it is such an important part of life to which many people are disconnected, and partly to tell the end of the story for the animal. 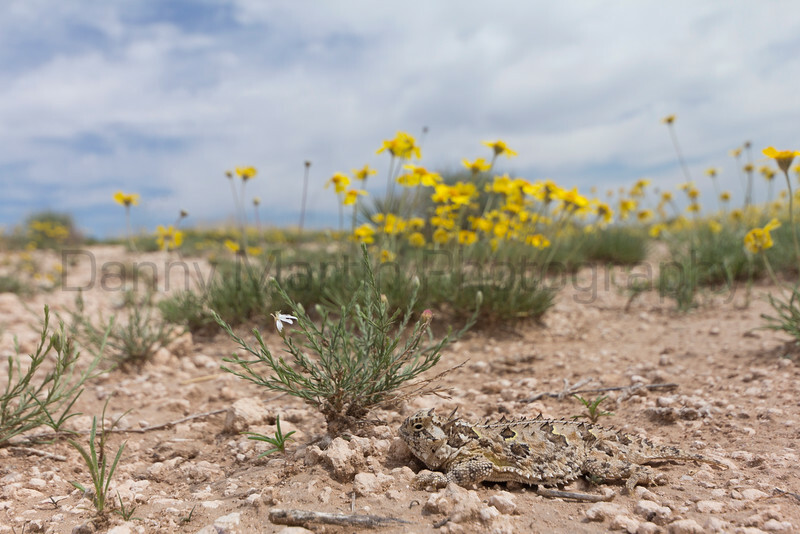 This male Texas Horned Lizard was found on a road in the Panhandle of Texas, trying to catch the last warmth from the sun-warmed road before nightfall. 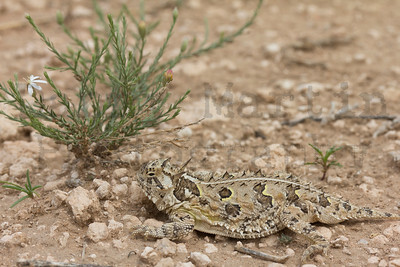 Horned lizards, like so many reptile species, can be found on and along roadsides in the morning and evening - they are often after an open area to catch solar rays to warm up in the morning, or to take advantage of radiant heat in the evening before nightfall. Unfortunately that means that many are killed by vehicles, and the lack of cover may make them more susceptible to predation from raptors such as Mississippi Kites, American Kestrels, and mammalian carnivores such as coyotes. Here, I used a 60mm macro, supported by the road surface to achieve a low angle to catch the sun dropping behind the horizon. I like how the last seconds of sun rays are catching the lizard's spiny back and head. This species has declined in some areas of Texas, but can be locally quite common. *This photograph was selected for the Colorado Outdoors 2016 annual photography issue. 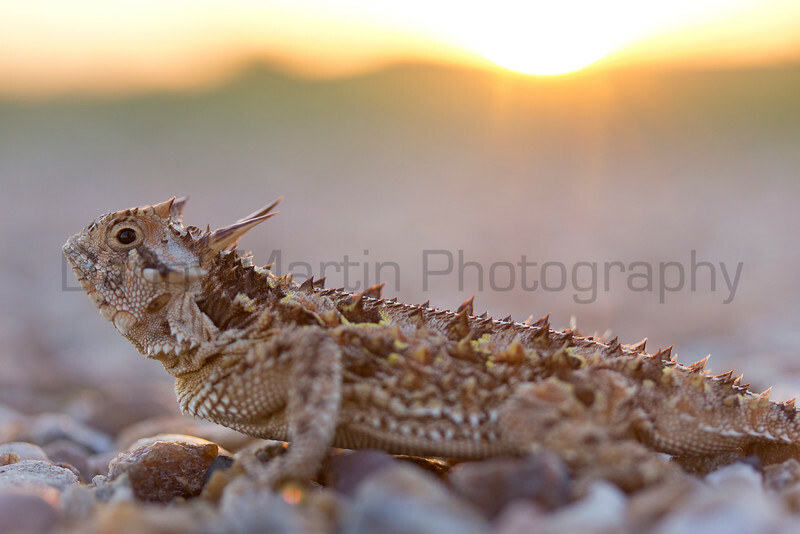 Texas Horned Lizard (male) at sunset. 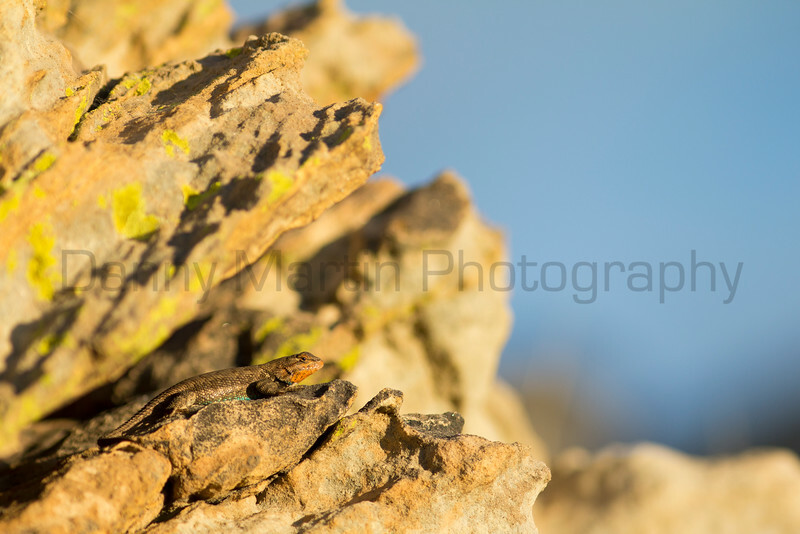 This Plateau Fence Lizard was enjoying the last sunshine before nightfall in the Panhandle of Oklahoma. The lighting on the lizard and rocks were perfect. 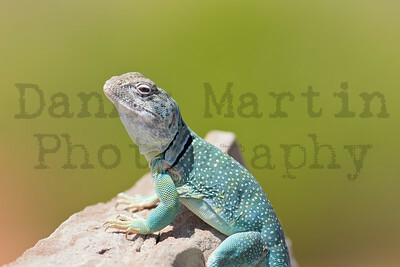 The bright yellow-green and orange lichen on the rocks helped balance the blue sky, with orange and blue on the male lizard drawing the eye into the rocks. Male fence lizards can have quite bright 'flagging' along their sides and throats - these are used when displaying to other lizards in defending their territory. Taken in mid-August just before dusk (20:06). 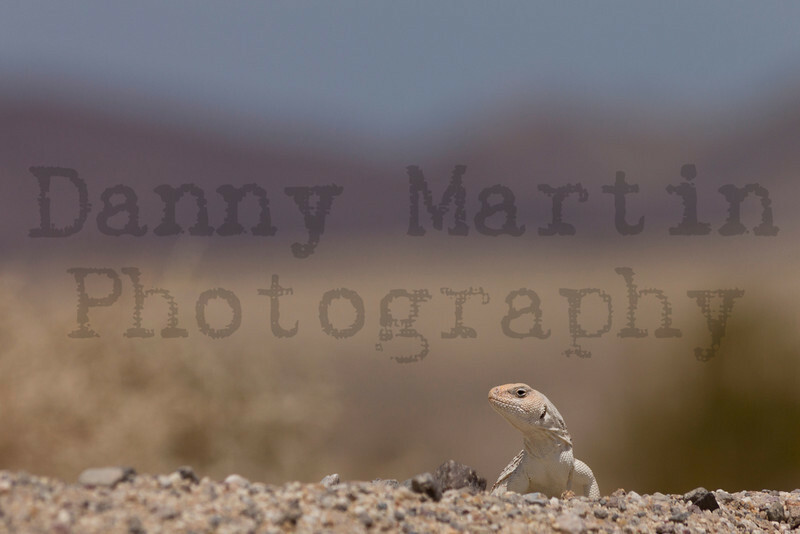 Desert Iguanas are typically active when it's too hot for many other reptiles - upper 90's is great. 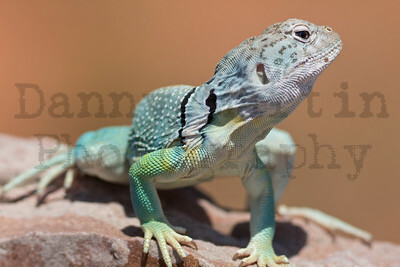 They are one of the few herbivorous lizards native to the U.S., feeding on leaves on the branches of desert shrubs. They tend to be quite wary, and very fast to escape if you approach quickly, so a long lens will help. I really liked the contrast of purple mountains with the yellow desert and blue sky in the background, blurred enough with f/9.0 to draw the eye to the iguana in the foreground. I shot this crouched down to increase the blue and purple components in the background - I thought it would improve balance of the color in this image. I also enjoy the way the dark green shrub in the right and the mountains help break up the largely horizontal layers. The full moon was huge and low in the sky, and as a morning person I rarely am up late enough to attempt shots at night. This was too good a chance to pass up, as I happened to be out after dark and had a long enough lens on to attempt this shot. I like the way there are no visible stars and the early night blankets the bright moon. 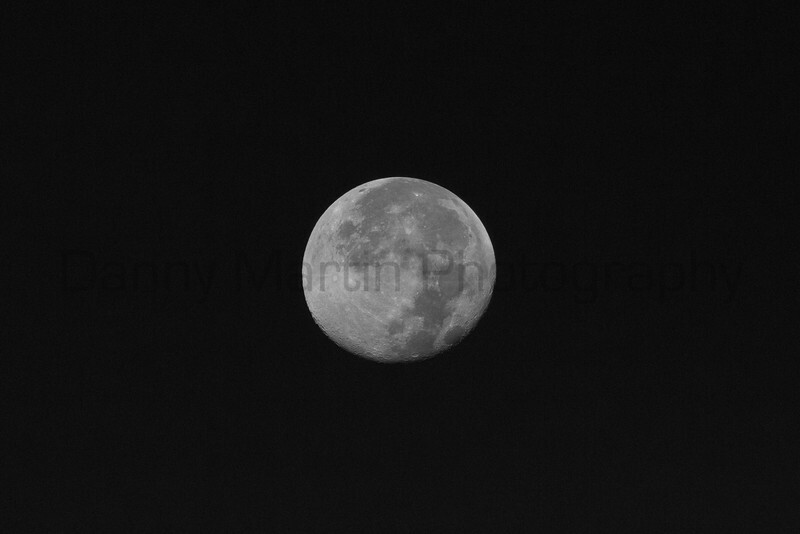 I converted this to monochrome to accentuate the nigh time sky.